Welcome everyone, thank you for visiting Attention Is Arbitrary for this very special, exclusive author interview with Joseph Lance Tonlet. This interview has two parts. My co-reviewer, OJ and I have practically torn JLT in two to bring you a dual perspective from our Gay Guy Straight Girl viewpoints. Our co-review of Wes' Denial is here. I get to go first and then OJ will have his way with JLT in a couple of days. Be sure to check that out over on the OJHeSay blog. But for now let's get right into it from a straight girl who is just a little over-the-top crazy for Wes (and JLT too). And don't miss out of the crazy-fabulous giveaway package JLT has put together for a very lucky winner. Lisa Arbitrary - Hello Joseph, thank you for giving me this opportunity to interrogate interview you. I know how busy you are with this amazing release and tour, but you have been more than generous playing along with my whims. Joseph Lance Tonlet - Thank you for having me. I consider it both an honor and a privilege. 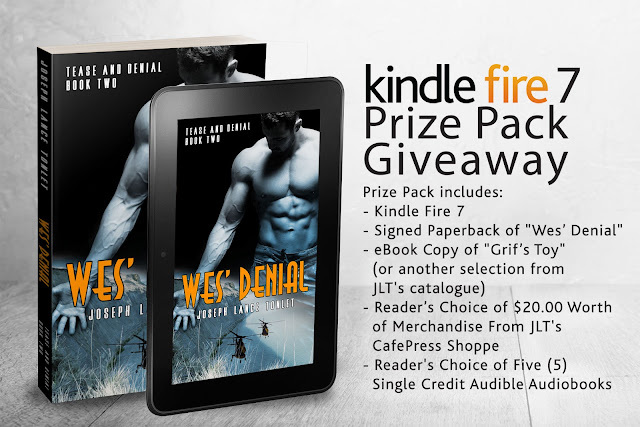 Lisa - I can’t help but compare Wes’ Denial to Grif’s Toy, so forgive me if that’s a continuing theme here. JLT - *smiles* I understand completely. It’s a slightly odd thing; they are part of the same series, they contain many of the same characters, and parts of their stories do overlap. But, on the other hand, they are uniquely different books - in both tone and subject matter. Lisa -I enjoyed Grif’s Toy, but I wasn’t easy on you in my review. I thought you had something more in you, something deeper. I’m going to pretend that I am personally responsible for the level of excellence that you achieved in Denial. Ha ha. Seriously though, I felt this book challenged you more, as it will challenge your readers more. Can you tell us if Denial came more easily or if it tested you? JLT - LOL! Indeed, all comments and concerns - both positive and negative - should be directed to Lisa Arbitrary at: feedback@attentionisarbitrary.com (Please note: as this is a fictitious address, any emails sent are not likely to be seen or read. *grins*) Seriously though, one of the most difficult things about writing is reader’s expectations. Let me explain what I mean by that. The only thing my books have in common is they’re not what anyone would consider mainstream romance. Each of them is unique and delves into different areas of the darker/taboo side of human nature. Therefore, unlike many author’s work, it’s not easy for readers to know what to expect with any of my books. On the one hand, I’ve found this very liberating creatively; it allows me the freedom to explore the stories that motivate me to write. However, on the other, it creates the huge potential for reader dissatisfaction. “I read XYZ and I thought JLT’s new book, ABC, would be just like it. It wasn’t.” So, to your question, was this book more challenging? Yes. But not because of those particular reader expectations. My biggest challenge with writing Wes was a pretty simple (yet important) one: Wes is a Dom and I’m a sub. Hence, my concern was ‘Could I get the feeling right?’ And, like always, that will be for readers to decide. Okay, where were we? Grif and Wes are such vivid characters, do they have some "real life" connection to you? JLT - As with most of my characters, there are bits of me sprinkled throughout their makeup. However, Grif and Wes are VERY loosely based on the Hubz and I. For readers who follow me on social media, it’s pretty widely known that we enjoy a self-styled D/s relationship. Grif is me magnified, exaggerated, and fictionalized. The same applies to the Hubz and Wes. Lisa - You’ve made a bold move in choosing to take the Grif reader on Wes’ ride. In my mind these are nearly two different genres. Did you have any qualms with choosing to reveal Wes’ darkness to your multitude of Grif readers? JLT - Great question, Lisa. From the beginning, I saw this story as two separate and distinct pieces: Grif’s story, and then Wes’. 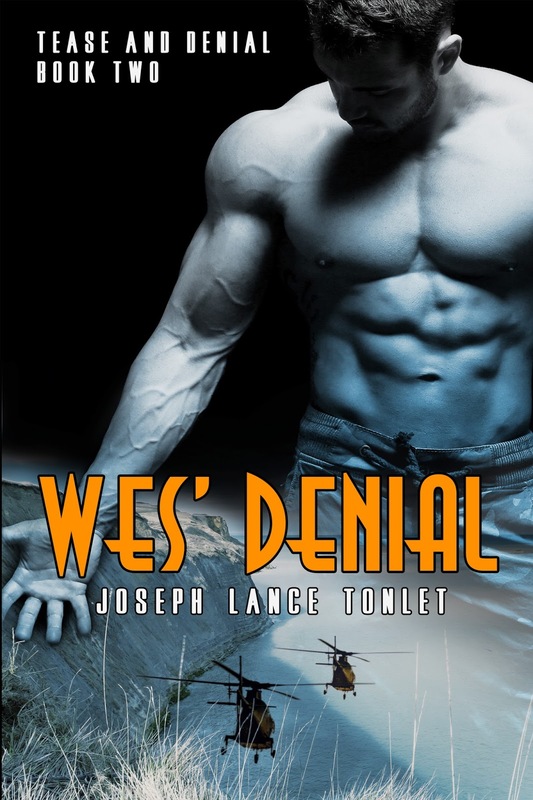 And, I’ll admit, the differences between the two is one of the many reasons Wes’ Denial took so long to be released. Grif’s Toy is one man’s journey to acceptance. Granted, that embracement wasn’t fully fulfilled in the first book (and it’s a storyline that concludes in book two) but it is unquestionably Grif’s story...just as Wes’ Denial is Wes’. Wes is a completely different character and, thus, his story is wholly different. Indeed, despite Grindr, Grif’s character in book one conveyed a sort of innocence. Conversely, Wes’ character is filled with a darker need to inflict pain and humiliation. Exploring how those differing needs are born, how they’re embraced by each of them, and how they ultimately come together - then flourish - was a tricky balancing act. At the forefront of my mind were two primary questions and objectives: 1) How do I convey Grif’s need without him coming off as needy, or whiny, or weak, or broken? (This was of the utmost importance to me.) And, 2) How do I present an honest portrayal of Wes while also embracing who he is, his licentious desires, and not have the reader unequivocally reject him? Lisa - As you say, in Grif’s Toy, Grif was innocent, sexually timid, reserved and rather inexperienced. In Wes’ Denial there comes a time that Grif steps outside of himself, his sexual comfort zone, to become what Wes needs. This is a brilliant part of the book, btw. In your experience, can a sub change his stripes? JLT - Grif does indeed ‘step outside himself’ in Wes’ Denial. And although it comes in a sexual way, which admittedly may have been out-of-character for him early on, I feel Grif has shown tremendous strength throughout the series. That said, we as readers have followed Grif’s growth in all things related to his sexual identity since the series’ beginning and, by the end, long gone is the sexually timid man we met so long ago. In his place stands the man Grif yearned to become with regard to his sexuality: strong, confident, and committed to his relationship. Lisa - In that vein Wes and Grif visit a club in San Francisco where Grif becomes intensely uncomfortable. Later, Wes puts him in another situation where Grif is pushed to go beyond his comfort zone. During my beta-read I questioned you about this. I thought it was too much too soon. You came back with an explanation both to me and also in the book about how the two situations were different. Would you like to comment or expand on that here? JLT - Without question, Grif and Wes have an incredibly complicated relationship. One important facet is Wes’ desire to humiliate Grif, and Grif’s equally strong desire to receive said humiliation. However, for Wes, there’s a constant balancing act taking place: Push Grif far enough to provoke humiliation and tears, but not so far as to do him mental or physical harm - something, if it happened, Wes would never forgive himself for. In the end, when all of the trappings are stripped away, Grif and Wes desire the same things from their relationship that most folks do; love, compassion, understanding, acceptance, and fulfillment. 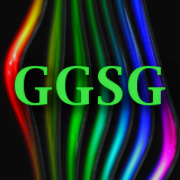 Grif allows Wes to control certain aspects of their sexual relationship - something both of them enjoy - and Wes considers Grif’s relinquishment his most treasured gift. Lisa - Do you have a tear kink? Because you made me cry, ugly cry, a lot with this book. Maybe that one’s rhetorical. JLT - LOL! I believe I know which parts of the book you’re referring to, and no, I personally don’t have a tear fetish. That’s Wes’ twisted thing. *winks* However, my constant and sustaining goal as an author is to write stories and characters that provoke feelings in the reader. Whether that be joy, or anger, or despair, or revulsion, my objective is to take readers on an emotion-filled journey. I find the books I enjoy reading offer me that...and I strive to do the same with mine. Personally, if a book makes me laugh out loud, or yell in frustration, or shed a tear or two - or better yet, has me thinking about it long after I’ve finished - then it’s a winner for me. I consider Wes’ Denial invoking enough emotion in you to cause a tear to fall an incredible compliment, Lisa. Sincerely, thank you! Lisa - Besides Wes and Grif you gave us some absolutely endearing characters here: Henrik, Thomas, Quinn, Gage. Any chance we’ll be seeing more of them? Please. JLT - Wow, thank you for the compliment! Honestly, it is one of the more tricky aspects of ‘side’ characters. As writers, we undoubtedly want our characters to be engaging, to be interesting, to be well rounded and flushed out - but we don’t want too much of any of those things because they aren’t the primary story and, therefore, we don’t want them to distract from the main characters. I’m thrilled you found them interesting and would like more. You know what they say about never saying never. Can we say ‘Cher’s fifth Farewell Tour’? LOL! 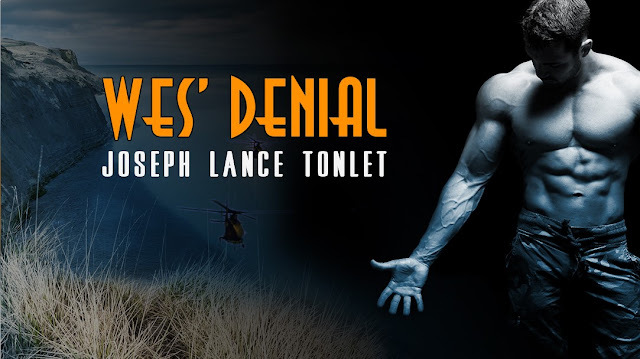 However, at this point, I have no plans for future books in the Tease and Denial series. Lisa - What’s next from JLT for my reading pleasure? JLT - Thanks so much for asking. Next up is a deliciously dark story Louis Stevens, my co-author of Quillon’s Covert, and I are writing. It’s still early in the process, so I hope you’ll indulge me in a bit of leeway in side-stepping what it’s actually about. But, to say that it’s the most depraved thing I’ve worked on isn’t a stretch at all. Working with Louis is a pure joy and I’m looking forward to sharing more about this project in the coming months.